Help them make their weekend epic in this graphic tee that proves a vintage design looks even better when it's paired with modern comfort. This tee keeps them looking and feeling cool with a soft jersey fabric made from 100% cotton. 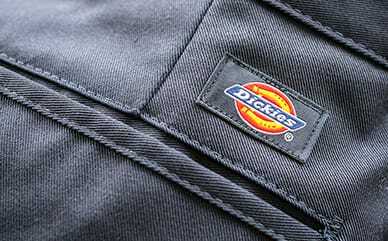 The classic, cursive Dickies logo across the chest will show off their love for their favorite brand.